Orientation & Design Strategy: We 1) assembled a design team, 2) inducted the team to the design process & mindsets, 3) set the design strategy and 4) setup an agile scrum board. Assembled the team, set the project charter and agreed to our design strategy. 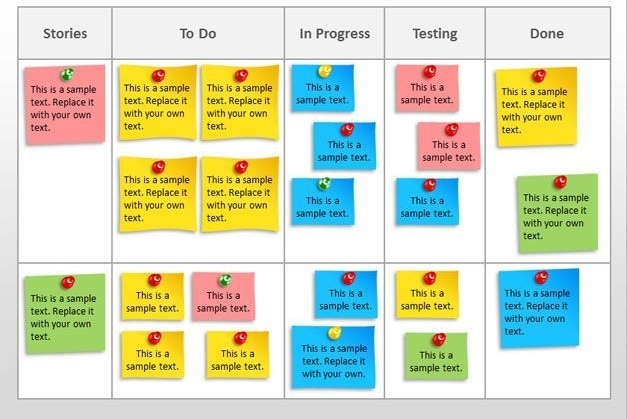 Set up the scrum board and facilitated tasks for the Discovery phase. Discovery: We undertook 1) Context Research by interviewing stakeholders and experts, plus reviewing documentation and market trends; 2) Exploratory Research by observational research of users to understand their environment, tools, objectives and pain points; and 3) Synthesised research artefacts to visualise the user experience and service. 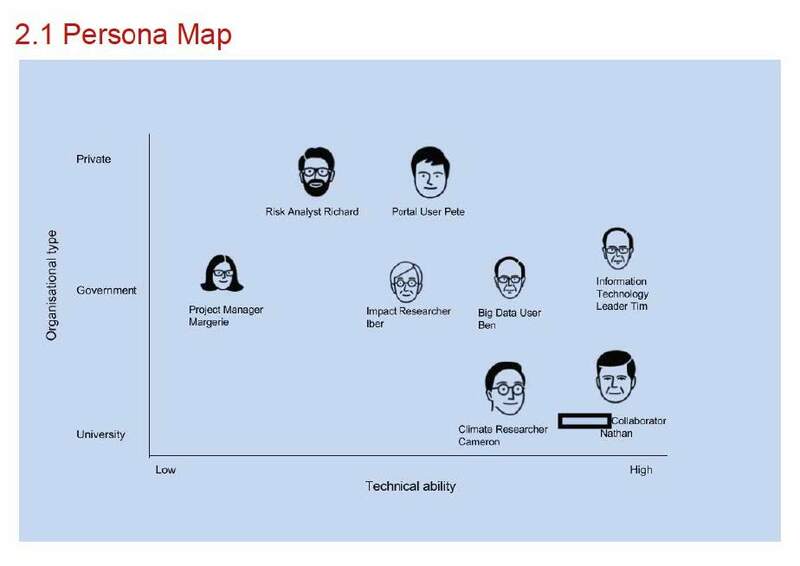 Persona Map of all users archetypes. 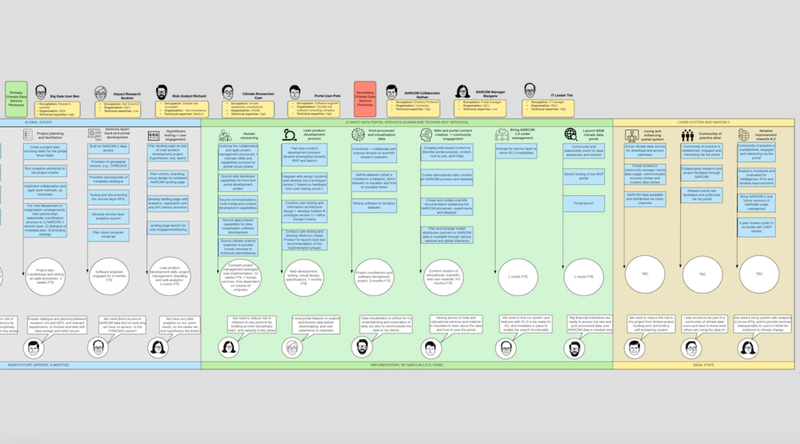 Produced a gallery of research outputs, such as Personas, Experience Map, strategic objectives and insights to co-create our Design Criteria for the portal. 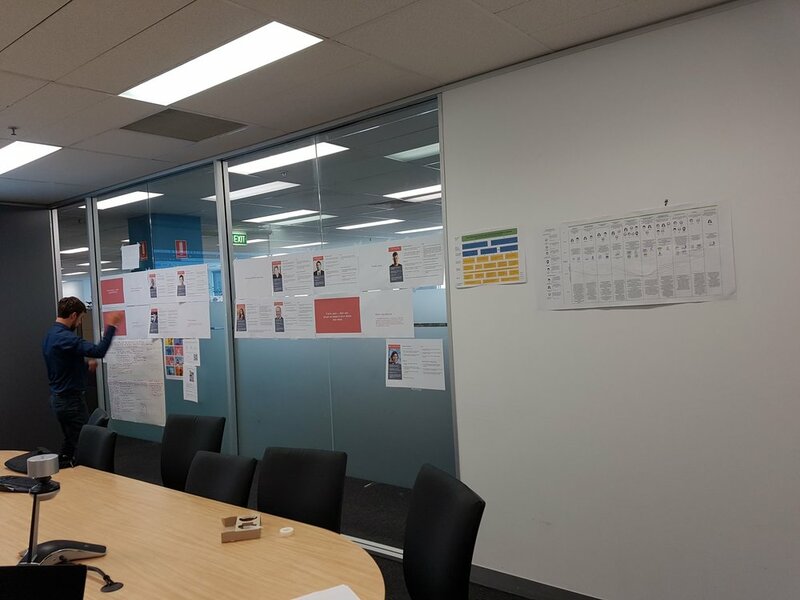 Ideation and Prototyping: We ran 1) Ideation and concept development workshops using our Research Artefacts and Design Criteria to generate concepts and 2) facilitated rapid prototyping of medium and high fidelity prototype wireframes using an iterative development process. Ideation and concept development workshop: generating ideas, voting on preferred concepts and building low-fi sketch prototypes. A Road map of goals, tasks and resources for the implementation process.